Digital Transformation: Leading People, Data & Technology online program. Are You in Digital Denial? From relationships with external partners and customers to internal operations, digital technologies are changing how information is transmitted and processed. Consequently, every job function within every firm and industry is vulnerable to some manner of digital disruption. If you haven’t felt it yet, it’s coming. Worldwide spending on digital transformation technologies is forecast to double over the 5-year period, 2016-2021, to $2.1 trillion. In addition to the practical knowledge that you’ll gain from the video lectures, you’ll learn from live webinars with UC Berkeley Executive Education’s top faculty on digital transformation. You’ll engage in peer discussions moderated by course facilitators, and solidify concepts through case studies, assignments, and quizzes. At the end of the online program, you will complete a capstone project, addressing a real-world challenge you face in your organization. 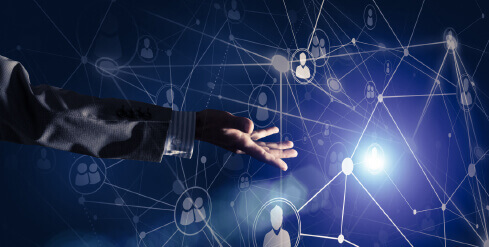 There’s no question that data and technology are key levers for digital transformation, but it’s also about people and organizational alignment. While much of this online program focuses on opportunities for advancing your strategic digital plan, there is also an emphasis on people and the organization. Healthcare: Optimize hospital patient flow in an emergency department. Banking: Conduct network analysis to find the high-value customers and leverage those relationships. Advertising: Use A/B testing to determine the effectiveness of advertising—how much exposure is enough to convert? Retail: Optimize an in-store shopping order using “shopper engineering” from Instacart and predict what item the shopper will add to cart next. Transportation: Using indoor location tracking of airline passengers, learn how predictive and prescriptive analytics help understand where passengers go and what services to offer them. One of the most notorious data breaches of all time occurred when Cambridge Analytica sold Facebook user data and violated the terms and conditions of the API. Learn the ways that legal and ethical considerations factor into digital business transactions. The customer experience was suffering at Panera Bread due to long order and wait times. 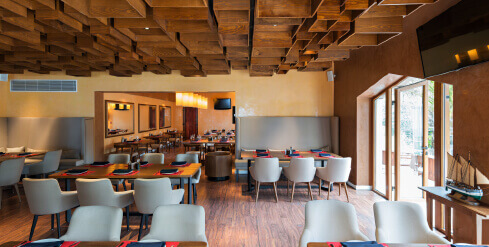 Being a data-driven company, they studied the problem using customer data and launched an ‘order-ahead’ mobile app, greatly decreasing order and wait times. They also updated the staffing algorithm, achieving operational gains. 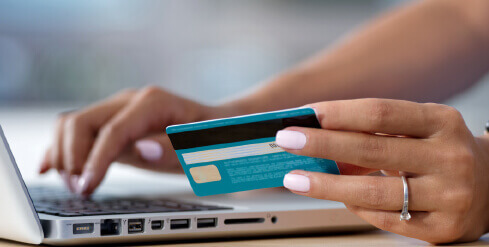 How does a payment platform become ubiquitous? It requires both buyers and sellers to get on board, presenting the old chicken and the egg conundrum: which comes first? Learn how a one-sided market evolves into a two-sided market where both buyers and sellers derive value. 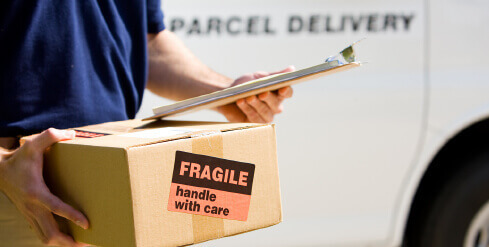 Imagine you are tasked with creating the best driving routes to provide the ‘last mile’ of residential delivery service to customers. How can data help you find the optimal routes for your drivers? We’ll pull from descriptive, predictive, and prescriptive analytics techniques to solve this challenge. Note: All product and company names are trademarks or registered trademarks of their respective holders. The study of these products and/or companies does not imply any affiliation with or endorsement by them. Get recognized! 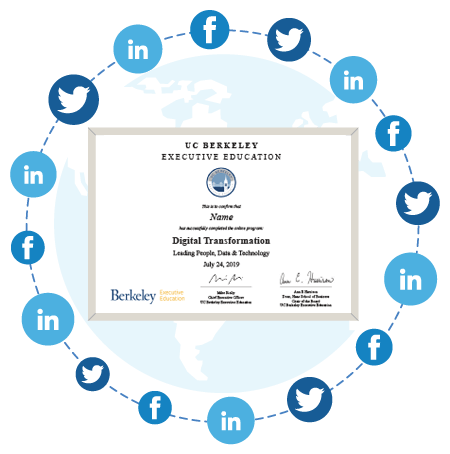 Upon successful completion of the program, UC Berkeley Executive Education grants a verified digital certificate of completion to participants. This program is graded as a pass or fail; participants must receive 80% to pass and obtain the certificate of completion. Pay the entire course fee of $2,400 at once. The first installment of $1,297 would be due immediately. The final installment of $1,151 is to be paid by June 12, 2019. The first installment of $958 is due immediately. The second installment of $781 is to be paid by June 12, 2019. The final installment of $781 is to be paid by July 02, 2019. Thomas Lee is an Associate Adjunct Professor and Research Scientist in the Haas Operations and Information Technology Management Group at the Haas School of Business. He teaches and conducts research on information and communication technologies to support innovation and new product development. Specifically, he develops and applies text and data mining methods for processing user-generated content. His goal is to discover and select opportunities for product and service innovation. Recent research has mined the text of online customer reviews to induce market structure and mined electronic medical records to redesign emergency department healthcare service processes. He holds Ph.D. and M.S. degrees from MIT's Engineering Systems Division and B.A. and B.S. degrees in Political Science and Symbolic Systems (Artificial Intelligence) from Stanford University. He has served as a visiting scientist at the Computer Security Division of the National Institute of Standards and Technology, a research engineer at the MITRE Corporation, and as a contractor for DynCorp-Meridian supporting the Defense Advanced Research Projects Agency doing research on Internet privacy and security. Zsolt Katona is Associate Professor of Marketing at the Haas School of Business, University of California, Berkeley. He is an expert in online marketing strategy and social media. He holds a Ph.D. in computer science from the Eotvos University in his native Hungary and a Ph.D. in marketing from INSEAD, France. Zsolt’s research focuses on online marketing strategy, networks and social media. He studies how firms can better take advantage of new Internet technologies and how they can integrate them into their marketing mix. His research has appeared in leading scientific journals such as Management Science, Marketing Science, the Journal of Consumer Research, the Journal of Marketing Research, and the Journal of Applied Probability. His research was featured by Bloomberg Business News and the U.S. National Public Radio. He has consulting experience with companies such as Autodesk, IBM, Kelora Systems, Singtel, Telkomsel, and Vodafone. Sameer B. Srivastava is Associate Professor and Harold Furst Chair in Management Philosophy and Values at UC Berkeley's Haas School of Business and is also affiliated with UC Berkeley Sociology. His research unpacks the complex interrelationships among the culture of social groups, the cognition of individuals within these groups, and the connections that people forge within and across groups. Much of his work is set in organizational contexts, where he uses computational methods to examine how culture, cognition, and networks independently and jointly relate to career outcomes. His work has been published in scholarly journals such as American Journal of Sociology, American Sociological Review, Management Science, and Organization Science. It has been covered in media outlets such as Fortune, The Wall Street Journal, Financial Times, - Sameer teaches a popular MBA elective course, Power and Politics in Organizations, and co-directs the Berkeley-Stanford Computational Culture Lab. In a prior career, Sameer was a partner at a global management consultancy (Monitor Group; now Monitor Deloitte). He holds AB, AM, MBA, and PhD degrees from Harvard University.